Yesterday I started the first of a few last minute gift ideas. 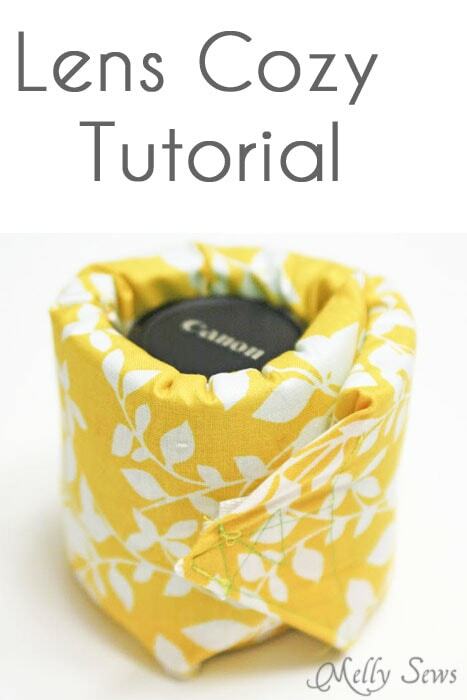 Today I’ve got another – these Lens Cozies whip up quickly and are perfect for the camera lover in your life – maybe even as a gift to yourself 🙂 And since this tutorial originally appeared 2 years ago, there’s a chance many of you haven’t seen it. So get the full tutorial here. And I’ll have a couple more last minute gifts next week. Take time to breathe in the holiday rush!